Know what Benefit Cosmetics products you want? Shop their makeup collection by range. These are all the bestselling and top-rated Benefit Cosmetics products. From Gimme Brow to Goof Proof, discover cult Benefit eyebrow products. From Roller Lash to Badgal Bang!, discover cult Benefit mascara and eyeliner, too! 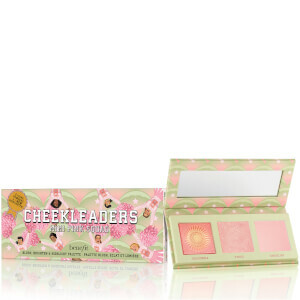 Prep skin for makeup with Benefit skincare, formulated to nourish and protect. 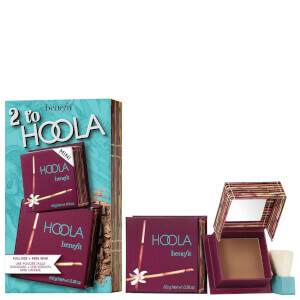 Add colour to your base with Benefit blush, including favourites Benetinit and Hoola Bronzer. From The Porefessional to Watt's Up, discover all Benefit primer and highlighter. Complete your Benefit Cosmetics collection with their range of lipsticks and lip gloss. Say Hello Happy and add Boi-ing Concealer to your collection of Benefit foundation and concealer. We all know and love Benefit Cosmetics as a brand, but do you know what you need to add-to-bag first? We've got the lowdown on the best Benefit products as selected by our Beauty Editor so you know exactly what to buy first.